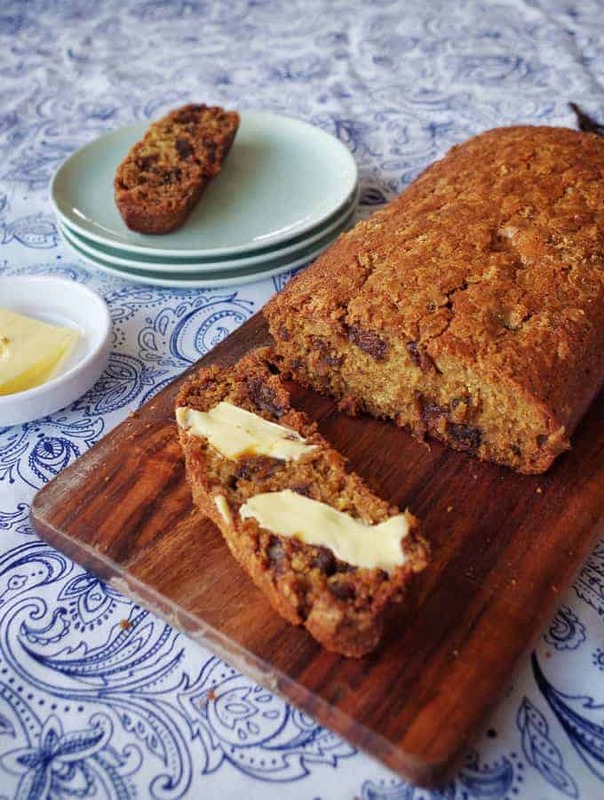 This date loaf is so quick and easy to whip up and share with friends over a cuppa. 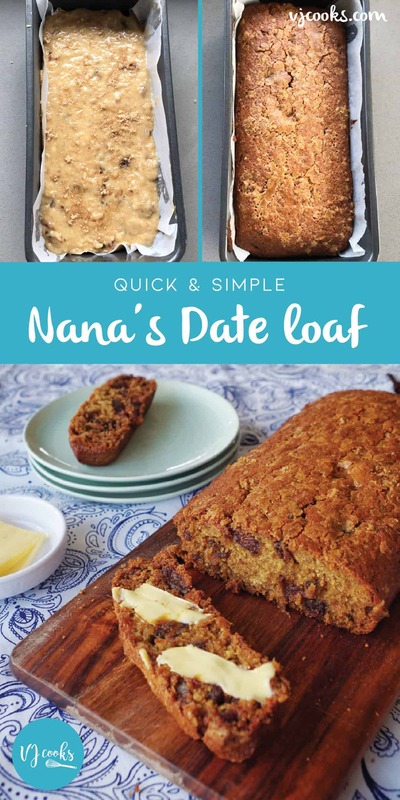 Most NZ families will have a classic Date Loaf recipe, and this is mine from my Nana. She used to add whatever she had in the pantry or had just harvested. Nana’s Date and Walnut Loaf was legendary especially at Country Women’s Institute lunches. 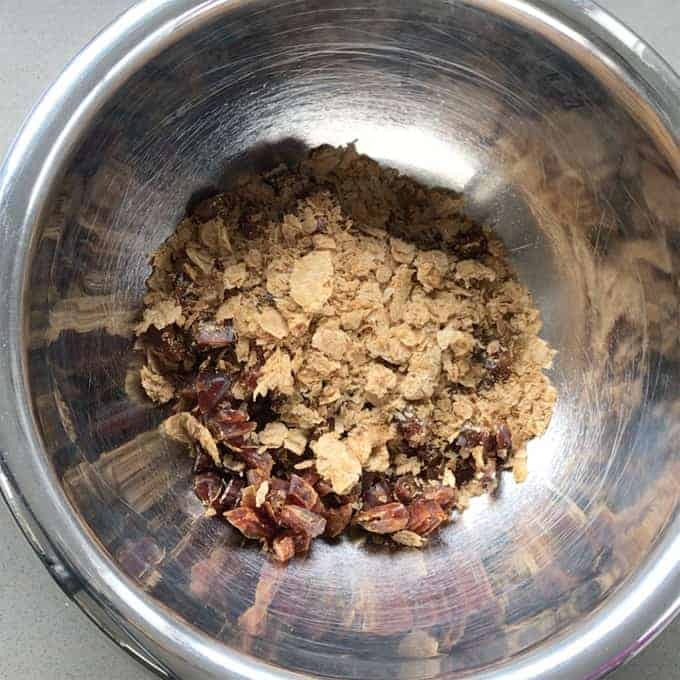 The secret ingredient is Weetbix you crush it in on top of the dates then let it soak with the sugar and boiling water, before adding the dry ingredients. Fold it all together and put it into a loaf tin. Adding the brown sugar to the top also gives it a lovely golden crunch. of butter. 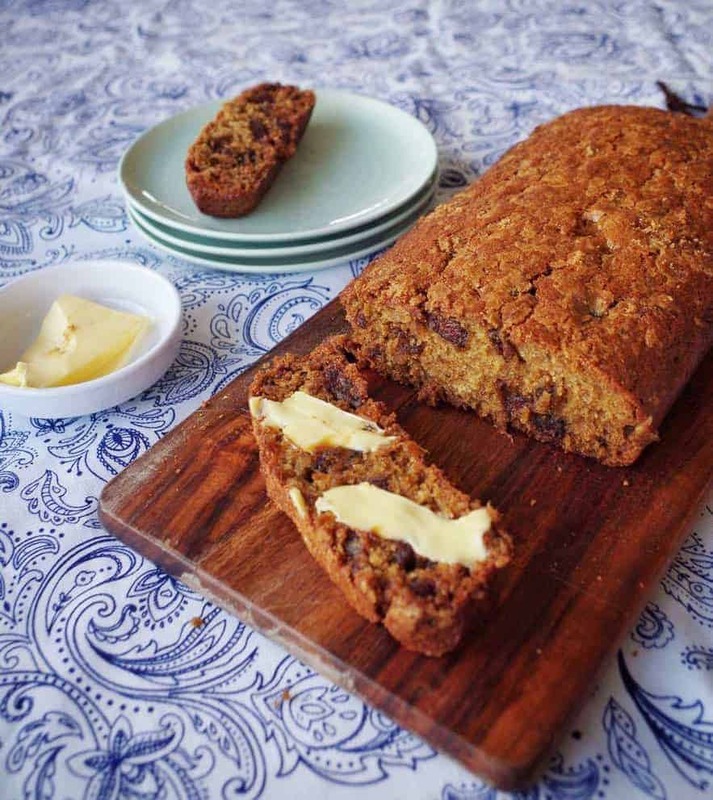 Date loaf is ideal to take to a bake sale or gift to a friend who could do with a pick me up. 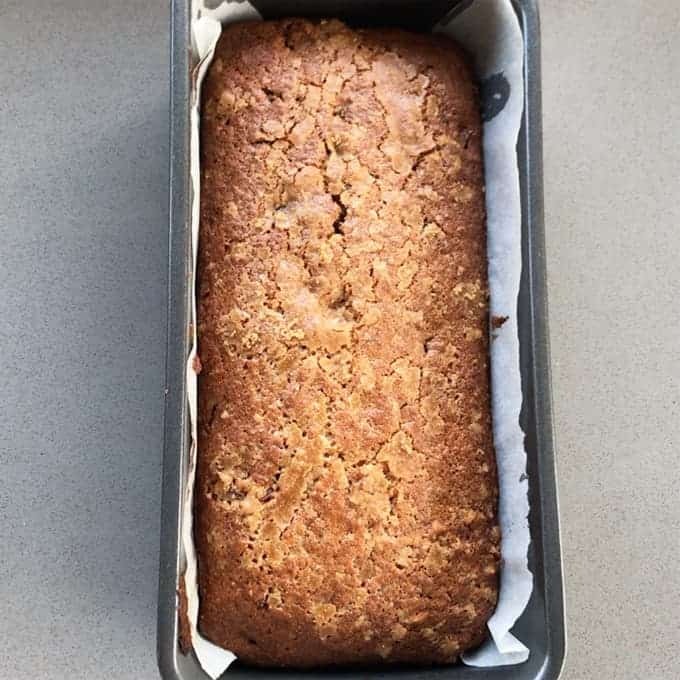 Check out the super easy recipe below, I’m sure your loaf will become a family favourite too. Preheat oven to Fanbake 180 Degrees C.
Prepare a loaf tin with baking paper and cooking spray. In a large bowl combine dates, butter, Weetbix, sugar, baking powder, baking soda and boiling water. Stir in sifted flour and the beaten egg. Fold all ingredients together until combined. Pour into prepared loaf tin and scatter over brown sugar. Bake for 35-40 minutes or until golden and cooked through. Remove from the oven and allow to sit in the loaf tin for at least 15 minutes before turning out onto a wire rack to cool.